based on the need to provide accurate time keeping devices for the Soviet military. Soviet watch making should equal that of the west and should be as accurate and reliable as western analogues. Many European manufacturers first approached by the Soviets refused to cooperate as they had mistrust of the communist regime following the treatment of private enterprises after the 1917 revolution. So the Soviet Government turned to seek manufacturing equipment from the United States following the demise of several watch making firms in the great depression. The entire factory machinery of several bankrupt companies was shipped to the Soviet Union. At the beginning of 1930, in the former «Red Star» tobacco factory, watch production began using the machinery acquired in America and by November 1930 the first watches were shown at the Bolshoi Theatre then called the October Revolution Theatre. In 1932, the factory produced the first Soviet stop watches and in 1935 the factory was renamed the 1st Moscow Watch Factory Kirov (1МЧЗ им Кирова). 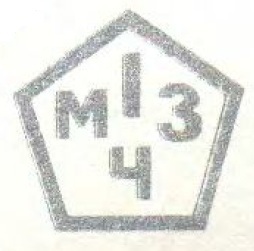 By 1939, machine tools had been increased along with production. The first Komandirskie watches were produced from 1940 at which time the factory had produced some 2.7 million time pieces since its start in 1930. In 1941, with the beginning of the Great Patriotic War, the whole factory was evacuated to Zlatoust ( Златоуст), a city in the Chelyabinsk Oblast where the factory continued production for the war effort. From 1946, following the war, the factory produced its first watches under the name Pobeda -Победа- Victory, a name personally endorsed by Stalin (not to be confused with modern watches produced under this name by the ZIM factory, see below). These Pobeda watches were produced up to 1953 by the 1MWF and have become very collectable. During the 1950s, watches were produced under various names in honour of Soviet achievements. In 1956, the first automatic watches were produced under the name Rodina -Родина- Native Land and in 1957, with the successful space mission, the first Sputnik -Спутник- watches were produced and also Antarctica -Антарктида- 24 hour watches intended for participants of the first Soviet expedition to the South Pole. The 2nd Moscow Watch Factory is the home of Slava – Слава- Glory watches and clocks. The factory started as the “State Trust for Precision Mechanics – Gostrest Tochmek- Гострест Точмех” in 1924 and in 1930 became the 2nd Moscow Watch Factory. During the 1930s the factory developed wrist watches, alarm, wall and car clocks, pocket watches and chess clocks. At the beginning of the Great Patriotic War, the factory was evacuated to Chistopol and concentrated its production on the war effort. This not only included watches for military staff but also, timers and fuses for missiles and other technical military apparatus. As the factory was key to the military, control briefly passed to the Ministry of Armaments. Following the war, the factory produced watches under the names of Victory and Salute. By the 1950s, the name Slava had been adopted. The factory also briefly produced watches under the name START – Старт-. clocks, mainly alarm clocks and wall clocks. Both watches and clocks from the factory were exported abroad, not only to the Warsaw Pact countries but also to western countries such as the United Kingdom, France and Germany. One of the strongest links to the west was the production of Slava watches for the British Company Sekonda. This relationship lasted from the 1960s until the collapse of the USSR. The old factory building in Moscow has recently been demolished but the Slava company continues to produce watches. Chistopol Watch Factory is located in Chistopol in the Republic of Tartastan, central Russia. 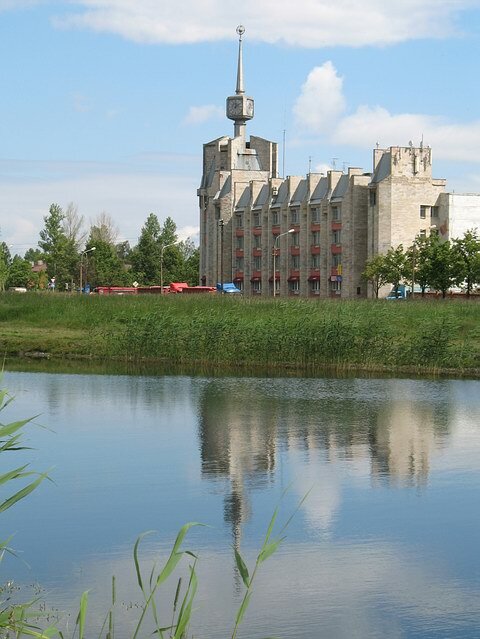 The factory dates from 1941 during the Great Patriotic War, when in November of that year, machinery and employees from the 2nd Moscow Watch Factory were moved to Chistopol to safeguard production from the Nazi German advance. By the following year, the factory was running at full production and was producing military timepieces. 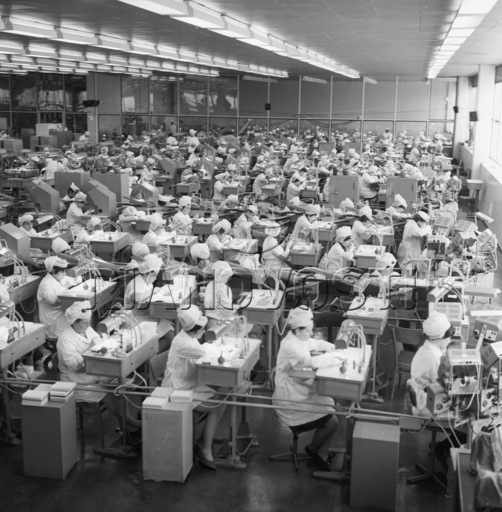 Immediately after the war, production returned to producing watches for the civilian population. In 1949, the production of “Pobeda” watches started using the K-26 movement as well as wall clocks, car dashboard clocks and timepieces for industrial use. In 1952 production of “Kama” wristwatches with an anti-shock movement and dustproof case began. Production for industrial use also increased. During the late 1950s, the factory produced watches under the names “Mir”, “Volnya”, “Saturn” and “Kosmos”. At the 1962 Leipzip International Exhibition in East Germany, “Vostok” was awarded a gold medal. 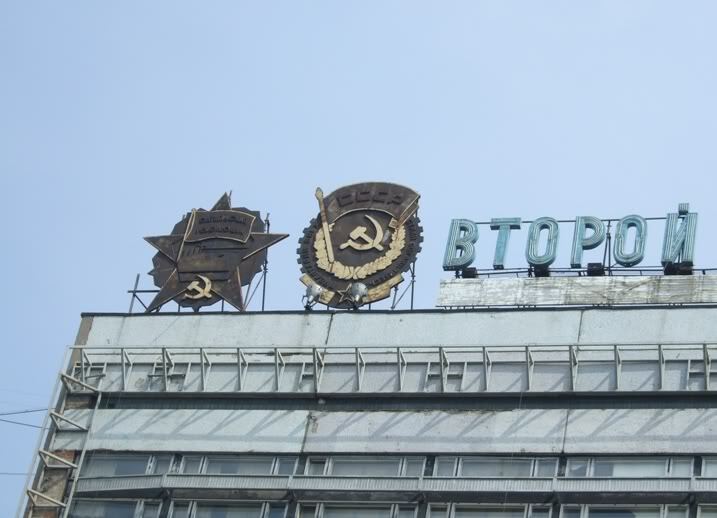 From 1965 the Chistopol Watch Factory became the official supplier for the USSR Ministry of Defence. It was at this time that the Vostok “Komandirskie” range of watches was developed. These watches were more robust and had waterproof casings. As a development of the Komandirskie watch, the Amphibian was produced. The Amphibian had increased waterproof properties of up to 200 metres. From 1969, all watches produced at the factory took on the name of Vostok and by the early 1970s, Vostok were exporting to more than 54 countries around the world and developments in watch movements included day and date calendars and automatic movements. Vostok watches produced for the Ministry of Defence of the USSR bear the wording “Заказ мо СССР” – zakaz mo SSSR which in full is “Заказ Министерство Обороны СССР” – by order of the Ministry of Defence of the USSR. Contrary to popular belief in the West, these watches were not exclusively produced for the military but were ordered by the Ministry of Defence for sale through military commissaries. Often these watches were bought as gifts for family and friends or traded, sometimes with foreign military personnel when on exercise or at conferences. The original Petrodvorets factory came about by means of a decree from the Tsar in 1721. The factory produced precious stones and materials such as jewellery, mosaics, carvings and marble decoration for palaces and cathedrals. Following the October revolution but as late as 1930, the factory was renamed “the First State factory of exact technical stones”. The factory produced precious stones for use in Soviet industry and science. During the Great Patriotic War of 1941 to 1945, the factory was completely destroyed. However, following the war, in 1949, the factory was reconstructed and began assembly of “Star”, “звезда” (Zvezda) and “Victory” “Победа” (Pobeda) watches. In 1954, a government decree declared that the factory become the “Petrodvorets Watch Factory” for making men’s wrist and pocket watches. Then, following the successful Soviet space missions, the factory began to rename is watches “Paketa” or “Rocket” from 1962. The factory has produced many watches of different designs and functions. The factory was the first in Russia to move to automated production line assembly of timepieces and exported to more than 38 countries. Following the collapse of the Soviet Union the Raketa watch factory struggled in the new market economy of Russia and ceased production in the mid 1990s. However, there has been a recent resurgence of the company and production has started once again. To see a Soviet Cinema News item from 1961 on the Petrodvorets Watch Factory, go to the Watch Advertising and Videos page. 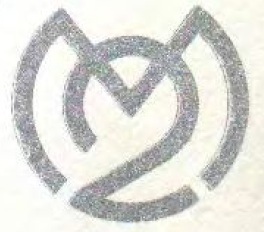 The ‘Maslennikov Watch Factory’ is often referred to as ‘ЗИМ’ (ZIM : ‘Zavod Imeni Maslennikova’). It was located in the town of Samara (previously called Kuibischev) and produced watches under the Trade Name ‘POBEDA’ – Победа. These later Pobeda watches should not be confused with those produced in the 1950s in the Moscow Factories. 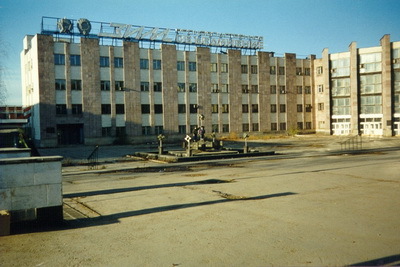 The ZIM Factory struggled following the collapse of the USSR and has since closed with the loss of jobs in the local area. 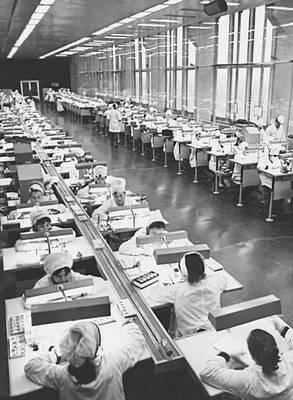 The Penza watch factory was formed in 1935 under a governmental order to manufacture women’s watches at the old Frunze Factory. The factory was constructed in a record-breaking short time. The new factory received assistance from the Moscow watch factories in the manufactures of watches. A link with the French watch company “LIP” was approved and in 1965 the “Zarja” brand for all Penza watches was launched. These watches are famous for their durability, accuracy and elegant design. In 1968 the new “Zarja-2014” Penza watches began production. On November 17th 1943 an order (№404) was made by the NKMV (People’s Commissariat of Mortar Armament) to set up the manufacture of alarm clocks and bracket clocks in the city of Serdobs. The factory was named the State Serdobsky watch factory №5. 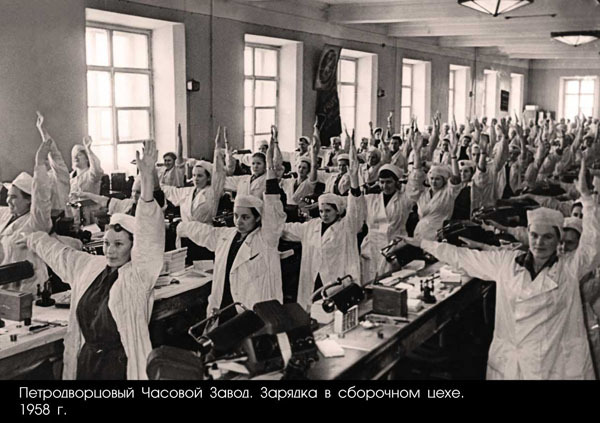 With the evacuation of the 2nd Moscow Watch Factory, the factory was ordered to produced women’s watches along with alarm clocks and children’s mechanical toys. Following the war, production was devoted to clock manufacture, particularly cuckoo clocks. Centre for the manufacture of Chaika and Volga watches in the town of Uglich 120km north of Moscow. The factory was constructed from 1938 until 1942. Initially, the factory produced semi precious and precious stones for the technical industry. In 1959, the factory produced the Volgo womens watches. Later, production of Chaika (Seagull) watches mainly womens watches but some mens watches were also produced by the factory. The city of Uglich has a branch of the Scientific Research Institute of the Clock and Watch Industry. Hi, I like your site very much. Please help me… you say ” in 1935 the factory was renamed the 1st Moscow Watch Factory Kirov (1МЧЗ им Кирова). It’s well documented that Kirov was added in 1935 but do you mean it changed from First State Watch Factory as well? If this is what you mean please confirm your source. Thanks for your comment on my USSR Watch website. All factories in the Soviet Union were “State” enterprises so I would not set too much by the fact that the word State is not actually written. I translated the 1MWF history on my site directly from the 1MWF website, dated 2001. This brief history states that in 1935 “Mikhail Kalinin signs the decree awarding The First Moscow Watch Factory the name of S.M. Kirov”. This site is no longer available since the demise of 1MWF/Poljot. I am interested in purchase of Seconda Winding watch , with roman numericals , 1970 model with white dial with roman neumericals (Wind up watche) for men can you help me in this regard. The watches on this site are not for sale. The site is used to display the collection and show the diversity of watchmaking in the former Soviet union. My suggestion is that you visit eBay.com or eBay.co.uk if you are interested in buying a Sekonda watch. Plenty of examples come up for sale on these sites.